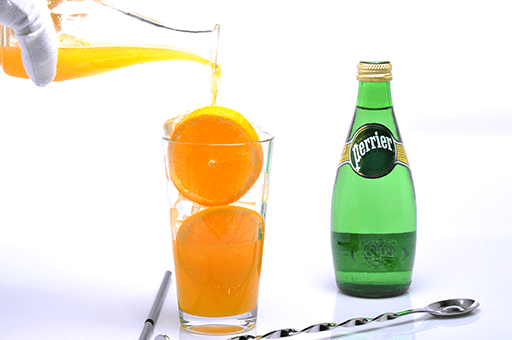 The PERRIER C VITAMINE is the ideal drink for breakfast, very rich in vitamine C, with a perfect balances sweet and sour taste. 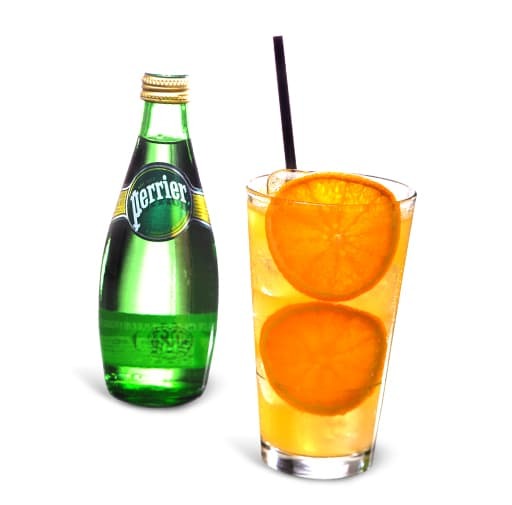 In a tall glass half filled with ice cubes, place two fine nice slices of orange, block them with the ice cubes. Squeeze the fresh juices using the juicer. 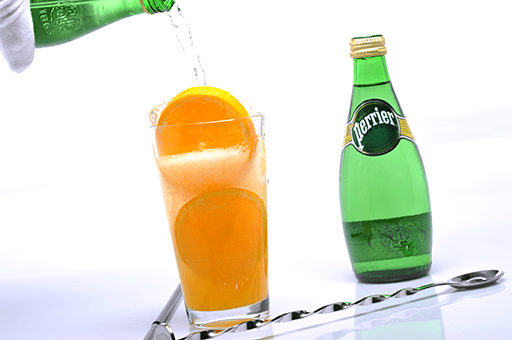 Filter the juice and pour them into the glass. 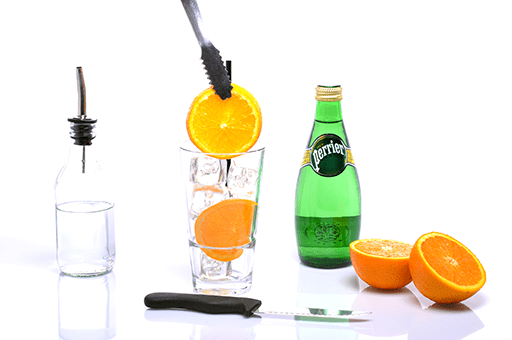 Pour the cold PERRIER into the glass and stir well using a long bar spoon.